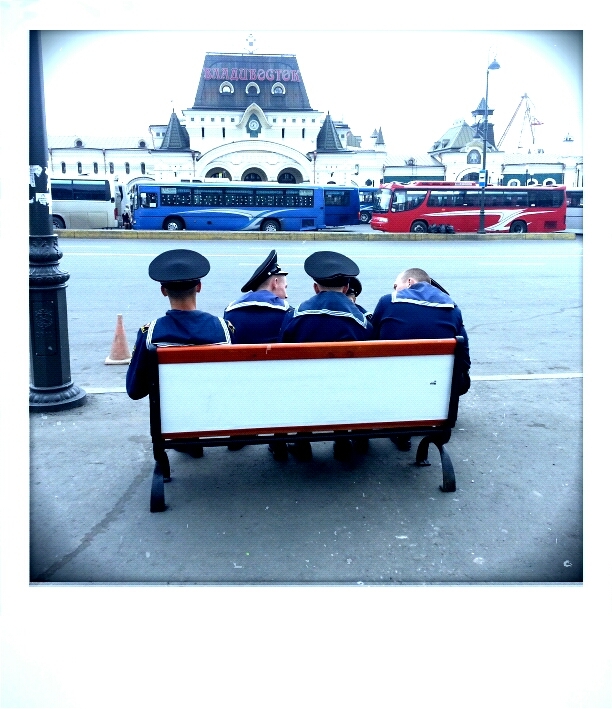 Young Marines seating in front of the Vladivostok railway station. Funded in 1860, the town was born from scratch, people coming from the Western regions. Which might explain why we don’t see “Asian faces” here, whereas in Ulan Ude, for instance, more than half of the population looked Asian. For national security reasons, the city, close to Japan, was closed to foreigners up to 1990! 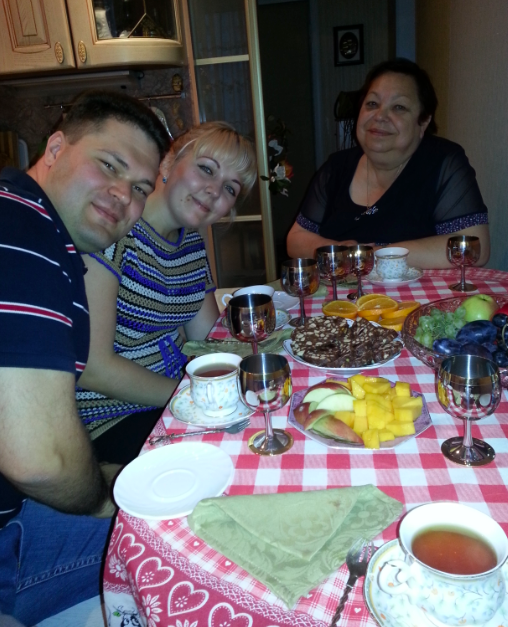 Tonight, I’ve had an amazing time with Slava and his family. 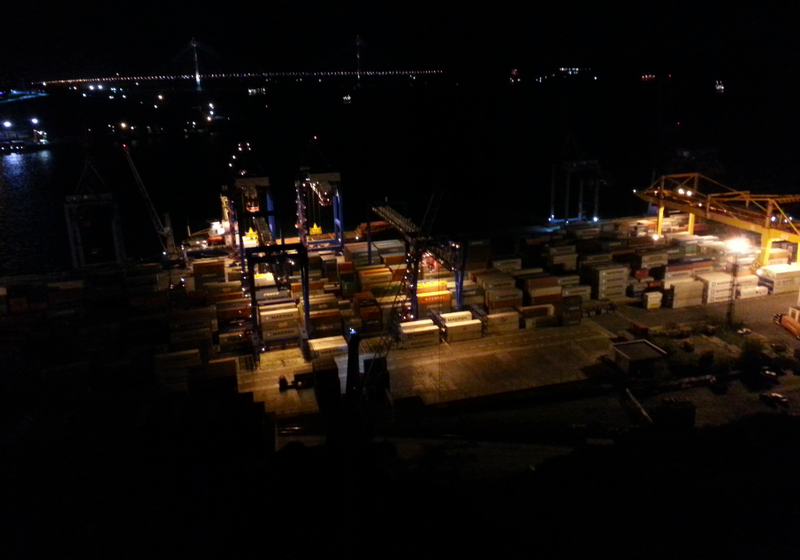 Then, Slava left his wife and nine-months old kid at home, and he drove me through the night of Vladivostok in amazing spots. Putting some Sea of Japan sand in my pocket, the memory of this amazing ride through the city by night should remain even more vivid. Thank you Slava. How id you meet with Slava and his familly ? My friend Gaia has her mother living in Italy. And her mother hosts Anna there, the aunt of Slava… Russian dolls principle applies!